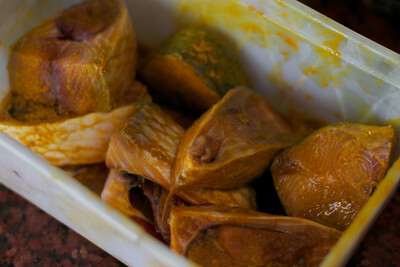 Since this dish is being cooked on day one of my visit to homeland, clearly this one is among my favorites. 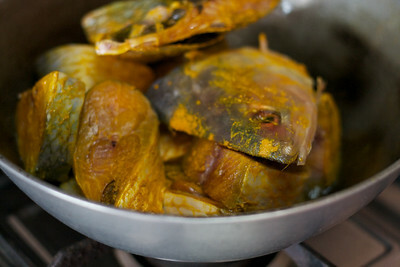 Between “posto” and “shorshe ilish“, it is hard to argue which one is the more quintessential expression of bangla soul. If you are thinking that being vegetarian or not produces a clear choice, stop right there ’cause Bengalis consider fish to be the vegetable of the sea. So there. The key to this dish is the quality of the mustard paste. 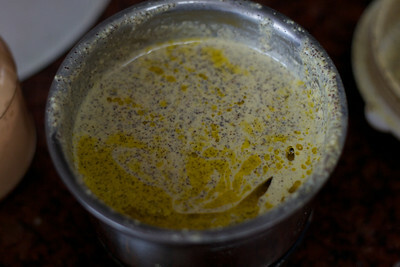 Poorly ground mustard paste will result in a bitter dish. So pay particular attention to the quality of mustard and how you grind it. Typically, hilsa fish is used for the dish but for those of you who don’t live in the vicinity of Ganges delta, weep and then feel free to improvise. Writing from the Kolkata land. 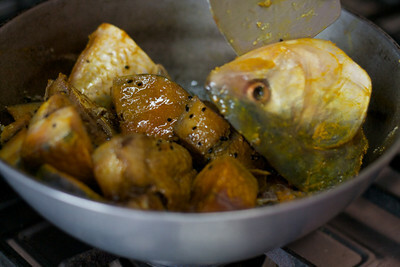 My mother is busy in the kitchen making some of my favorite foods. Posto is the Bangla term of a vegetable curry made with white poppy seed paste. 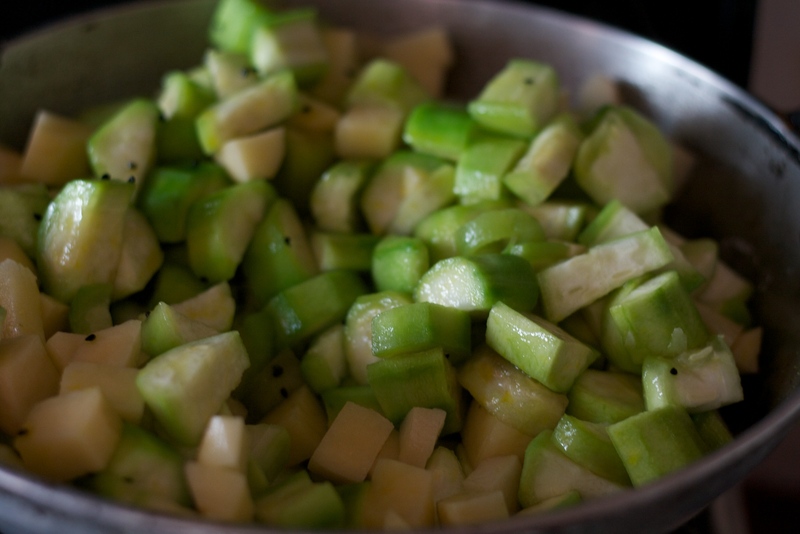 One can use a variety of vegetables including potatoes, eggplant, or okra but my favorite uses ridge gourd. Following recipe from my mother’s kitchen serves 6-8 people. One key feature of my mother’s cooking is use of mustard oil. The pungency of the oil does wonders to the flavor of the dish. 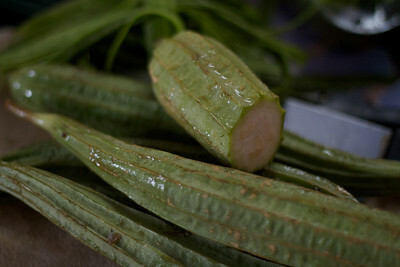 Start with some fresh and young ridge gourd, about 1.2 kgs or so. Rinse, peel and chop (1/4 inch semicircular rounds) to make about 1 kg of gourd. Peel and chop 2 medium potatoes in 1/4 inch dice.